Prepare to fall in love with this amazing home, currently being built by Award-winning Homearmara builder, Prestige Builders. As you enter you will immediately notice the attention to every detail throughout this property...from the elaborate trim package, to the gorgeous wide plank hardwood floors, and the high-end lighting package-- this property was built to impress! On the first floor will discover a large great room with a beautiful gas fireplace adorned with gorgeous tile and custom-built ins. The great room is open to the large casual dining area and kitchen--perfect for entertaining!The kitchen is the epitome of the hottest trend in kitchen design... the galley style kitchen is equipped with an over-sized island, a gas cook-top, built in oven and microwave, custom cabinets, tile back-splash (that matches the tile surrounding the fireplace) and quartz counter-tops. The sliding doors open to the spectacular outdoor living area which includes a covered composite deck with lighting, a fan and surround sound backing up to a wooded area. The irrigation system helps to complete the fabulous outdoor living space. On the first level you will also discover a lovely formal dining room (or choose to use it as an office or sitting room), a powder room, a mud room with built in lockers and a first-floor laundry room. The second floor will not disappoint! Upstairs will find an elegant master suite boasting a tray ceiling with ceiling fan, a custom oversized shower with 2 shower heads and a transom window plus a his and hers vanity. But that's not all... the enormous master closet will amaze you! There are 4 other bedrooms and two additional full bathrooms. The walkout basement has a rough in for a full bath and is ready to be finished (Prestige Builders can finish the basement for $30 sq. foot plus cost of any bathroom and bar area). The icing on the cake is the abundance of warranties that come with this beautiful home! Plus, this energy efficient home features cellulose insulation and two HVAC systems-- which means lower energy costs for you! WHAT ARE YOU WAITING FOR? Schedule your private showing today! 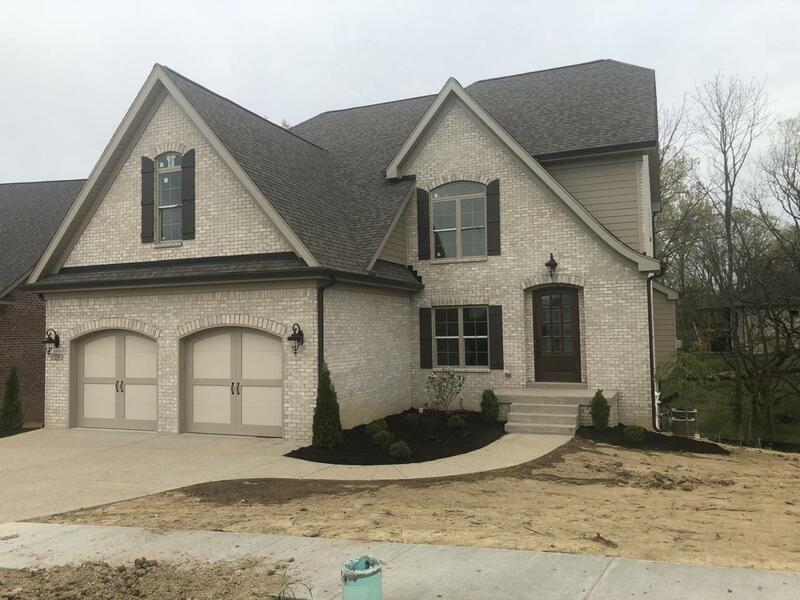 Listing provided courtesy of Louisville Fine Living. © 2019 Metro Search, Inc. All rights reserved.